The long time usage of opioid drugs in the treatment of pain has come under scrutiny despite the wealth of documentation as to its efficacy to manage both acute and chronic pain conditions related to advanced medical illnesses (Rosenblum, 2008). Approximately 20% of pain patients presenting with non-cancer pain conditions are prescribed opioid drug treatment by their physicians with a resulting more than 165,000 deaths from overdose over a 15-year period starting in 1999 (Dowell, 2016). One of the obstacles to the clinical examination of acupuncture as an alternative to conventional treatment methods is the lack of consensus as to the physical mechanism by which acupuncture works. Acupuncture treatments based on diagnostic Zheng (pattern) discrimination also introduces variability into studies and brings to light the complexity by which acupuncture’s mechanism(s) work (Fang, 2013). Treatments assigned to the traditional Zheng (pattern) methodology follow a more empirical path from the practitioner in terms of chosen acupuncture points, and the lack of a clear linear model remains a challenge for western scientific process research. Another confounding issue in the treatment of pain is the consideration of the stages of injury/healing. Acute injury and the subsequent healing process occurs in three general stages: (1) Destruction phase; (2) Repair phase; and (3) Remodeling phase (Jarvinen, 2013). Each of these phases has a different treatment goal and likely exhibits a different dominant Chinese medical Zheng (pattern). It has therefore been a challenge to create and verify a single acupuncture treatment that can reliably treat acute pain conditions throughout these stages. There is a wealth of studies that verify and measure the clinical effectiveness of acupuncture in the treatment of various diseases. New Jersey acupuncturists are not currently designated as primary care practitioners and although we practice independently without necessary referral, most practices are primarily focused on the treatment of pain. Hospitals in New Jersey, as well as around the country are integrating acupuncture into their available treatments for patients and the practice is becoming more widely known and accepted. Despite increasing visibility in New Jersey’s medical centers, the methodologies and approaches utilized in integrative and allopathic medical settings remains un-standardized. The US Department of Health and Human Services Opioid initiative lists numerous studies including several measuring the clinical viability and effectiveness of acupuncture in the treatment of pain (Affairs, 2017). These studies aim to document the mechanism by which acupuncture is effective in the treatment of pain and to measure the reliability of its effectiveness. Other studies measure acupuncture’s effectiveness versus conventional treatments or utilize acupuncture in a comprehensive multidisciplinary approach towards pain management. The Eastern School of Acupuncture and Traditional Medicine and Hackensack Hospital have been working together towards the creation in early 2018 of an acupuncture shift providing treatment for pain patients in the emergency department. Partially based on the doctoral research and work of Dr. Jeremy Steiner, DAOM, L.Ac. 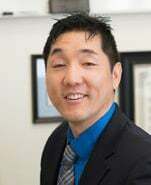 (Dr. Jeremy Steiner, 2017), a team has been assembled under Dr. Thomas Kouo, DAOM, L.Ac., Dipl.OM., Academic Dean at Eastern School, to create and test a treatment protocol to be used in the treatment of acute pain in the emergency department of Hackensack Hospital. The task has included identifying the main Zheng (patterns) covering acute pain as well as researching the most recent studies and theories relating to acupuncture’s physical mechanisms. These parameters are the defining principles by which the team will assemble the protocol to be named HESAPP (Hackensack/Eastern School Acupuncture Pain Protocol). Team members are currently reviewing literature covering the various microsystems of acupuncture (scalp, auricular, electroacupuncture, etc.) as well as reading through various Chinese Classical Texts and major historical acupuncture texts to compile guidance on which to base the protocol. The protocol form will be a base group of points that will be the standard treatment with further standardized points added to the treatment based on the stage of injury. The protocol will be tested at the acupuncture clinic at the Eastern School by identifying qualified patients and measuring the treatment’s effects over a three (3) week fifteen (15) treatment trial. Dependent variables to be measured include both total reduction of pain and the timing of the pain reduction. Results will be brought to the integrative medical team at Hackensack Hospital under Dr. Joseph Feldman (Chairman of the Emergency Trauma Department / Director of Medical Education Hackensack Hospital) for a further review. HESAPP will ultimately serve as the standardized treatment administered and studied in the Hackensack Hospital emergency department by Eastern School acupuncture professionals and clinical interns. Numerous studies exist with the aim of identifying the specific mechanisms of how acupuncture is effective and measuring its effectiveness versus conventional treatments. Conversely, there is a noticeable lack of studies measuring the effectiveness of a specific treatment that can be widely administered to aid in the search for viable alternatives to the prescribing of opioid drugs in the treatment of acute pain. The development, future testing, and validation of HESAPP will serve to be a part of the steps by which acupuncture can be used for acute pain as an alternative to opioid drug use and thereby bypass the inherent drug safety and potential addiction dangers that exist if we maintain the status quo. Our long term goals include expansion of the scope of treatment from acute pain to also include chronic pain conditions. The establishment of a reliable and effective alternative in the treatment of pain can essentially and effectively redefine modern medicine and provide the foundation for the concept of Integrative Medicine. We, at the Eastern School are honored and grateful to be working with the Hackensack Hospital towards the validation of a treatment that can potentially better the lives of the many sufferers of acute and chronic pain and turn our fates towards a complete physical and spiritual recovery. Current Status, and Future Directions. Experimental Clinical Psychopharmacology, 405-416.